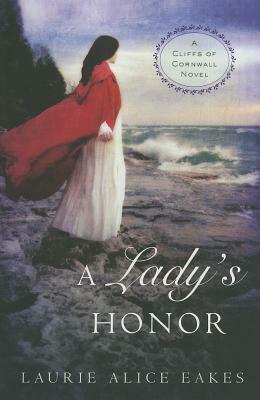 On the cliffs of 19th-century Cornwall, a spirited, impetuous young woman is torn between the honor of her family and the longing of her heart. England, 1811 A tarnished reputation. A distant home. A forced engagement to a dangerous man. When Elizabeth Trelawny flees London, she has more than one reason to run. And when her carriage, pursued by her would-be fiance, is caught in a storm, she quickly accepts the help of a dark stranger. Anything to get back to Cornwall. Rowan Curnow is not exactly a stranger. Not quite a gentleman either, class disparity once kept him from courting Elizabeth . . . even if it didn't keep him from kissing her. The couple elude their pursuers and reach Bastian Point, Elizabeth's future inheritance and the one place she calls home. But in the very act of spiriting her to safety, Rowan has jeopardized Elizabeth's inheritance---if her Grandfather ever learns she spent the night, however innocently, in the company of a man. When smugglers unite the pair in a reckless, flirtatious alliance---an alliance that challenges the social norms that Elizabeth has been raised to revere and rattles Rowan's fledgling faith in God---Elizabeth must choose between the obedience of a child and the desires of a woman: whether to cling to the safety of her family home or follow the man she loves.